David Turner is president and chief executive officer for Hitachi Vantara Federal, and serves as chairman on the company’s Board of Directors. A 20-year public sector industry veteran, David has a reputation for revitalizing companies to deliver increased value by driving operational excellence and championing business transformation. Responsible for formulating and executing long-term growth strategies David is also focused on transforming Hitachi Vantara Federal into a leading, full-service next-generation data services company. 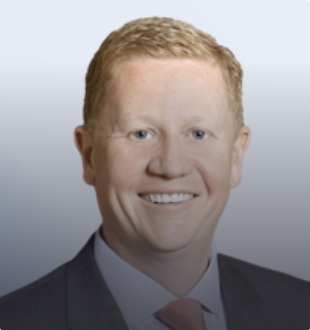 Prior to joining Hitachi Vantara Federal, David served as president for the Applied Technology & Operational Services Group at Akima, a leading holding company that supports a diverse portfolio of Federal and Commercial service providers. While there, he held responsibility for managing five companies who served Federal defense and civilian clients with mission critical solutions and managed the company’s business strategy. Prior to Akima he served as senior vice president at Affiliated Computer Services. Earlier in his career he held roles with American Management Systems as senior principal, and director at McDonald Bradley (now ManTech International Corporation). David earned a Master’s in Business Administration from the University of Pittsburgh’s Joseph M. Katz Graduate School of Business and earned a Bachelor’s degree in molecular biology from the University of Michigan. He serves on the Board of Trustees for the Highland School and is an active member in its mission of preparing students for life-long success.